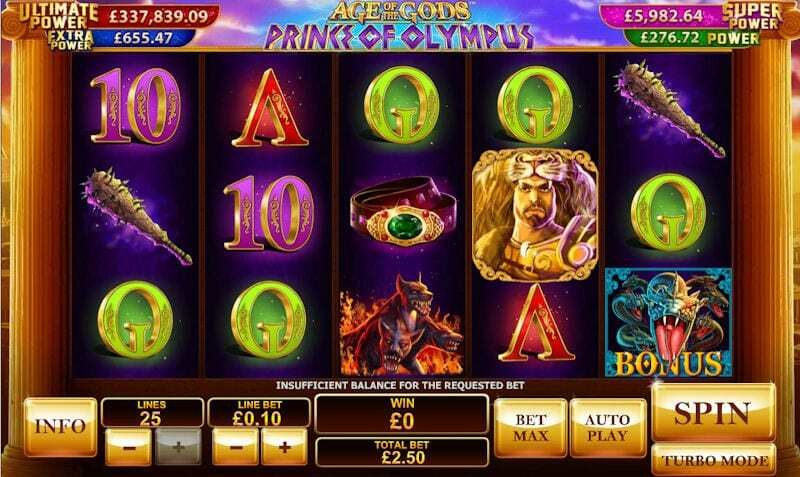 Take yourself back to the times of ancient Greece where the Greek mythology plays an important part in everyday life, the Gods are honoured with respect and the God’s of Olympus is a highly entertaining online slot game. The theme is engaged with well by many because of the mystical feel which allows players to escape and spin away into a land of enchantment. The theme is cleverly adapted to demonstrate strong graphics, the background taking players back to ancient times with the majestic ruins of temples. The enchanting music fits well with the uplifting energy when they play slot online. There are some great winnings to be had too and players are given the chance to increase their takings with bonus rounds including free spins! 1x2 Gaming is based in the United Kingdom (Brighton) and since 2003, they have been carving their mark in the online slot game industry. Within the online slot industry, they focus on traditional 5 reel games and the creation of diverse and entertaining themes. Other work includes constructing casino games using Flash and HTML5. 1x2 gaming continues to develop software that is compatible with mobile devices so that players can spin online at any location. 1x2 gaming has a number of other games here on Wizard which you can see here. This five reel slot game has 20 pay lines – giving players the chance to set their own bets anywhere between 1 and 20 lines. The stake will also need to be determined by the player, who can pick both the coin value and coin amount. Look out for a beautiful Greek Goddess who will act as a wild symbol for this game and will substitute all other symbols on the reels except for the scatters. Collect three or more of the triumphant Zeus symbols to gain a free spins round. 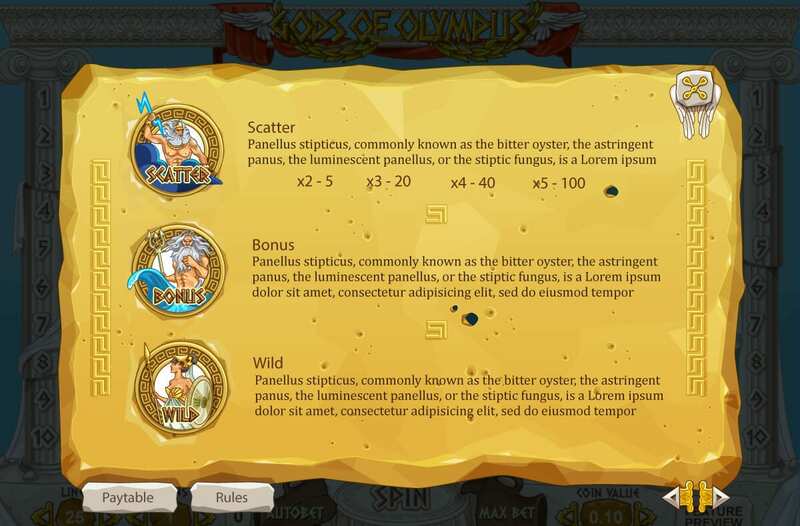 Zeus will allow you to have ten free spins, with a welcome 2x multiplier! Then three of Poseidon, gracious God of the sea will activate the bonus round (the symbols can be anywhere on the screen). You can check our guide here to help you in selecting from our sets of online games. In the bonus round, you will have the choice to click on five urns, some are filled with cash prizes and others nothing so you need to pray to the God’s for some luck here. If you are lucky, you will see a stack of gold coins but for those more unfortunate in this bonus round will just see the urn go up in a puff of smoke. This is an engaging theme for players to get lost in but it is relatively basic in terms of diversity. Still, its traditional set up can allow you to make some godly winnings, especially with the development of the bonus rounds. So, connect with the spirituality of these ancient times and put your luck in the sky in this endearing online slot game! Remember to stay enchanted and look out for the beauty of the Greek Goddesses that will endure you into creative bonus rounds that will be sure to make your spinning an enjoyable one!